Douglas B. “Smokey” Horton, life-long resident of the town of Mexico, and dedicated father of two, proudly announces his bid for re-election as a sitting Judge of the Mexico Town Court. Judge Horton has proudly served his first term as a member of the Judiciary for the Town of Mexico since his appointment in 2008 and subsequent election to the bench. As a judge for the town of Mexico, Judge Horton has carried his work ethic and community ideals into the courtroom; has worked on issues involving at-risk teens and families; secured the financial means to upgrade the equipment and facilities of the Court in order to better serve on the bench, all the while continually making sound and decisive judicial decisions while developing and nurturing relationships with the District Attorney’s Office, members of the Bar and law enforcement as a whole, all to better serve the community in which he and his family live. Community service and civic-minded duties and responsibilities have long been a part of Judge Horton’s daily life. He served as a second generation member of the Mexico Volunteer Fire Department for more than 27 years, while serving as the chief for four years. In February of this year, Judge Horton was honored by the New York State Senate for his “heroic actions at the Daytona International Speedway, in Daytona Beach, Florida” where, while participating in training exercises for emergency extrication for his employer, Jerome Fire Equipment, Judge Horton was a first responder to seriously injured race fans who were struck by flying debris from a collision that occurred during the race. Judge Horton provided life-saving care to the injured spectators until emergency medical treatment arrived. Petitions were being circulated by the Republican Party. 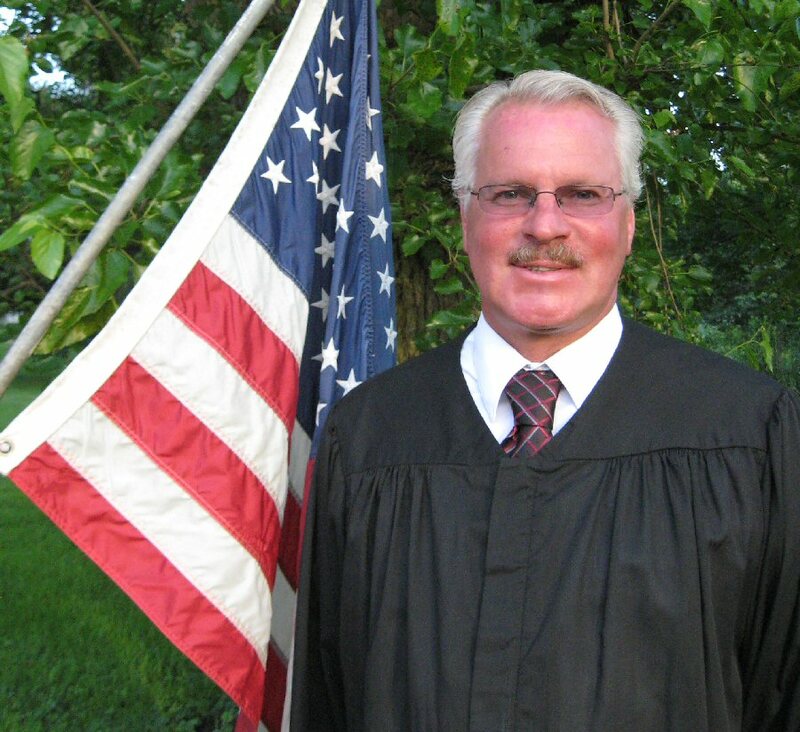 Judge Douglas B. Horton would appreciate you showing your support in this year’s upcoming election by voting to keep him on the bench for the Town of Mexico!